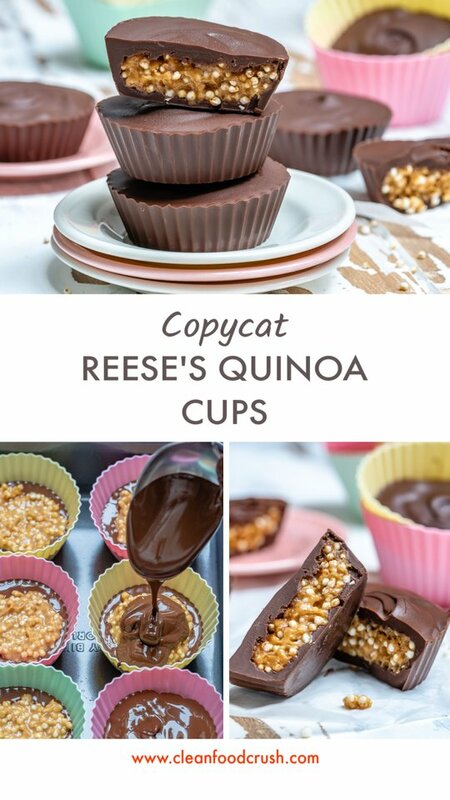 THESE were really FUN to make…and even more, fun to EAT! 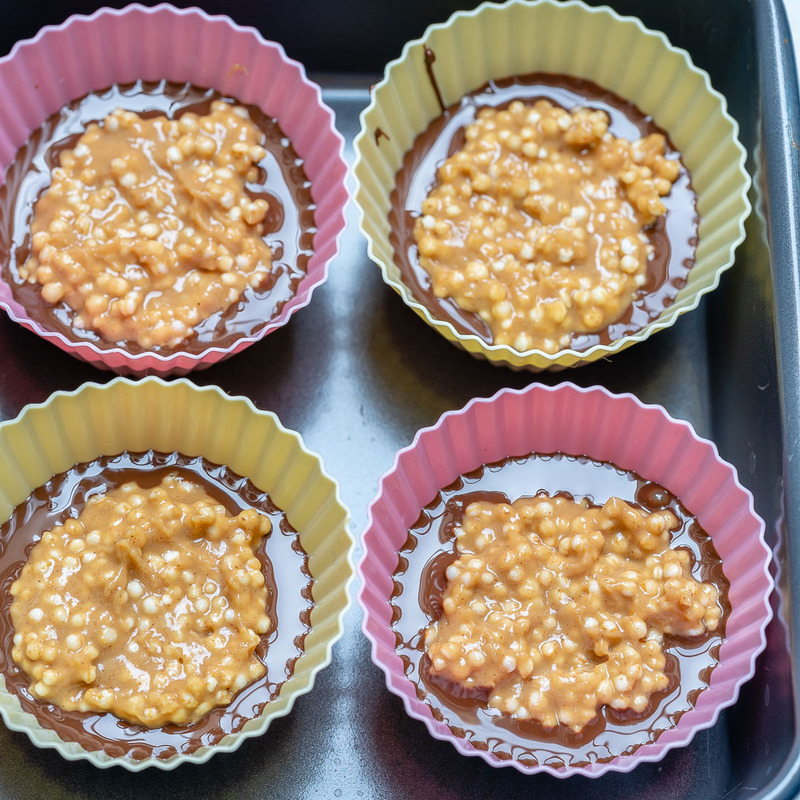 In a mixing bowl add quinoa puffs, peanut butter, raw honey, and sea salt. Gently stir with a spatula until well combined. 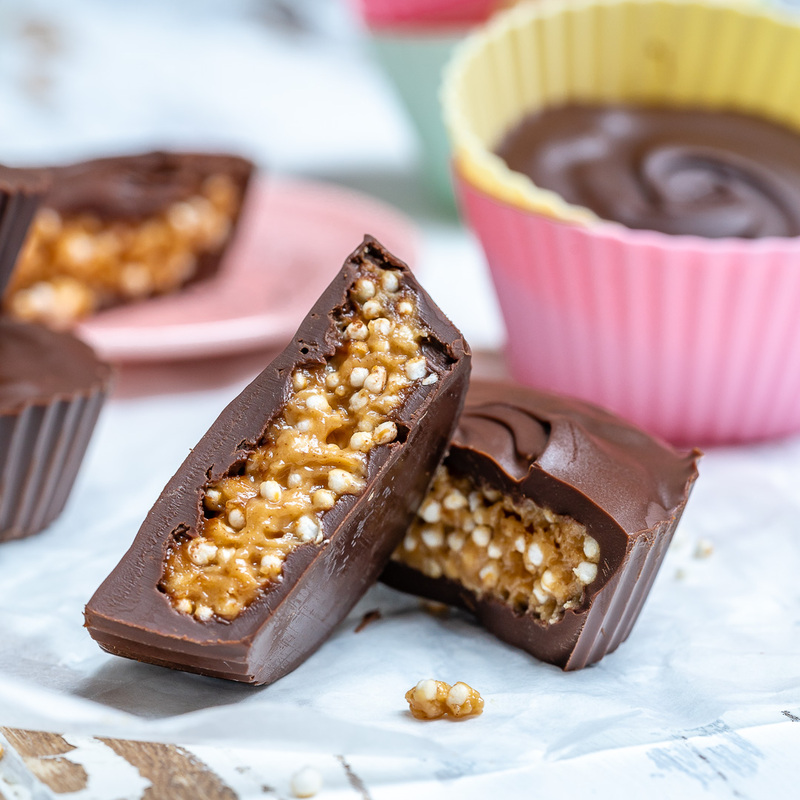 Add a spoonful of melted chocolate into each silicone cup, then gently add in one spoonful of the peanut butter quinoa puffs mixture. Top with the remaining melted chocolate. 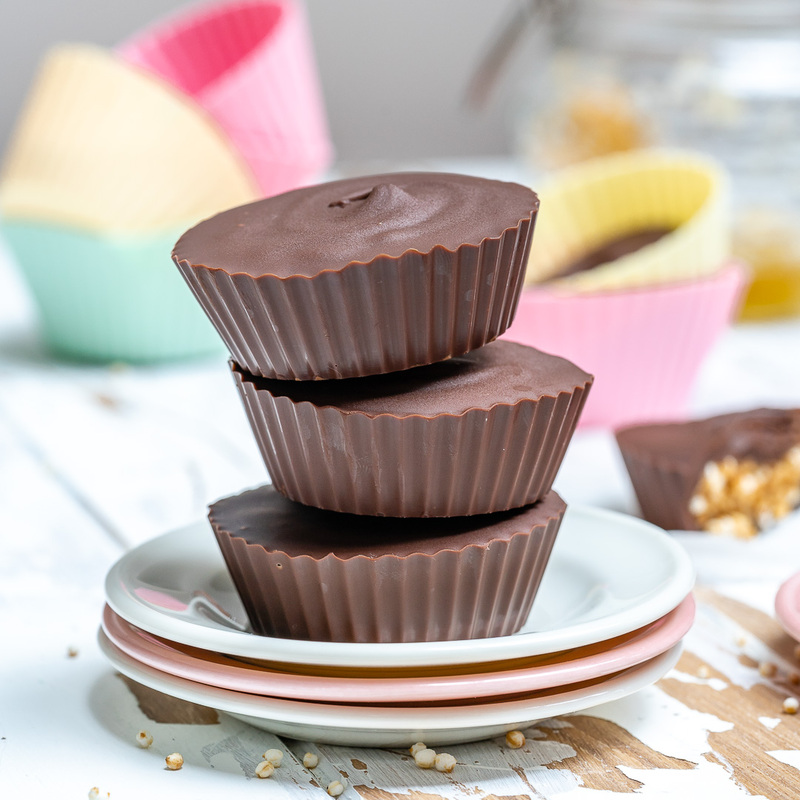 Place the cups into a sheet pan and refrigerate, or freeze for up to 1 hour, or until the chocolate is set. 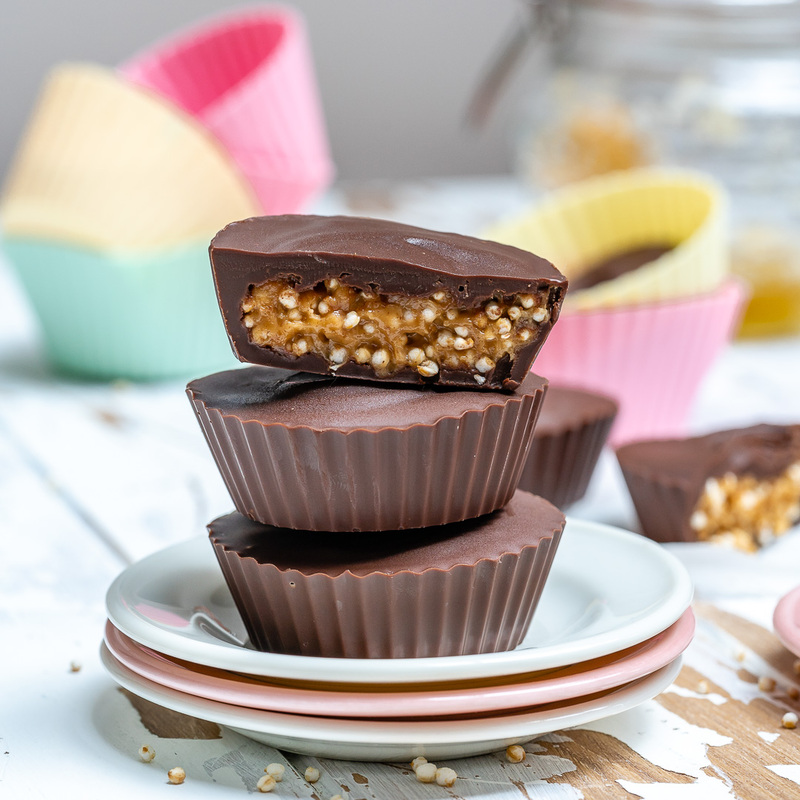 Pop the treats out of their molds, and keep refrigerated in an airtight container for up to 2 weeks. 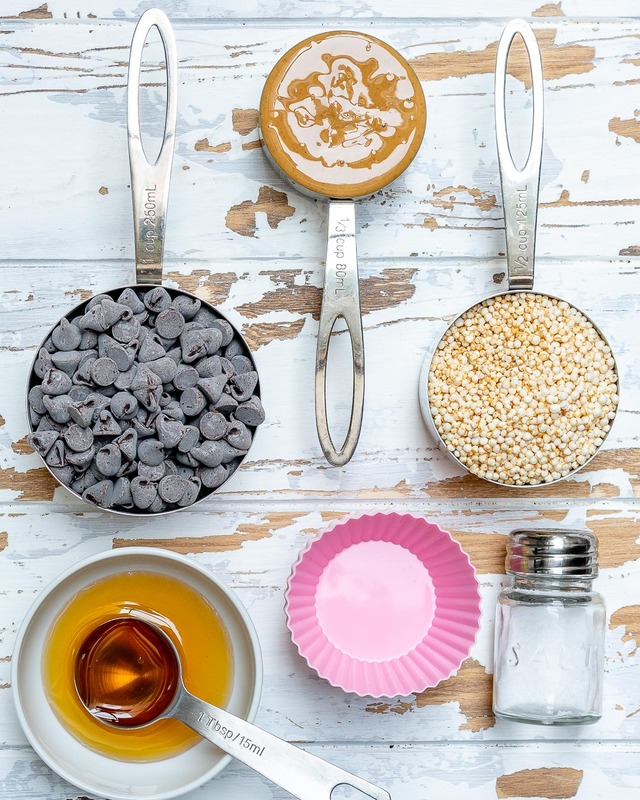 In a mixing bowl add quinoa puffs, peanut butter, raw honey, and sea salt. Gently stir with a spatula until well combined. 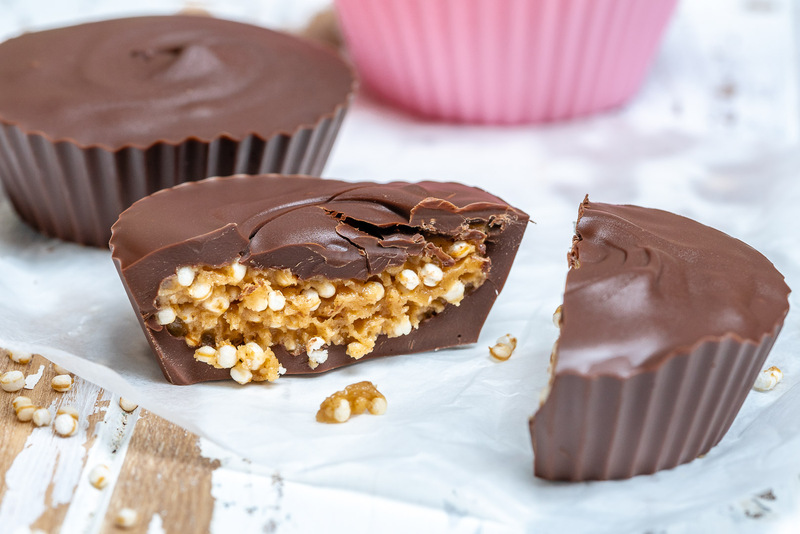 Add a spoonful of melted chocolate into each silicone cup, then gently add in one spoonful of the peanut butter quinoa puffs mixture. Top with the remaining melted chocolate. 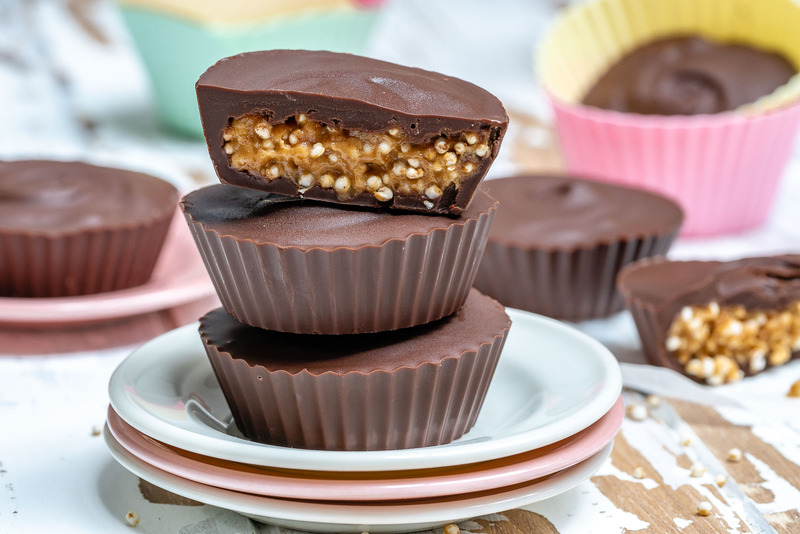 Place the cups into a sheet pan and refrigerate, or freeze for up to 1 hour, or until the chocolate is set. 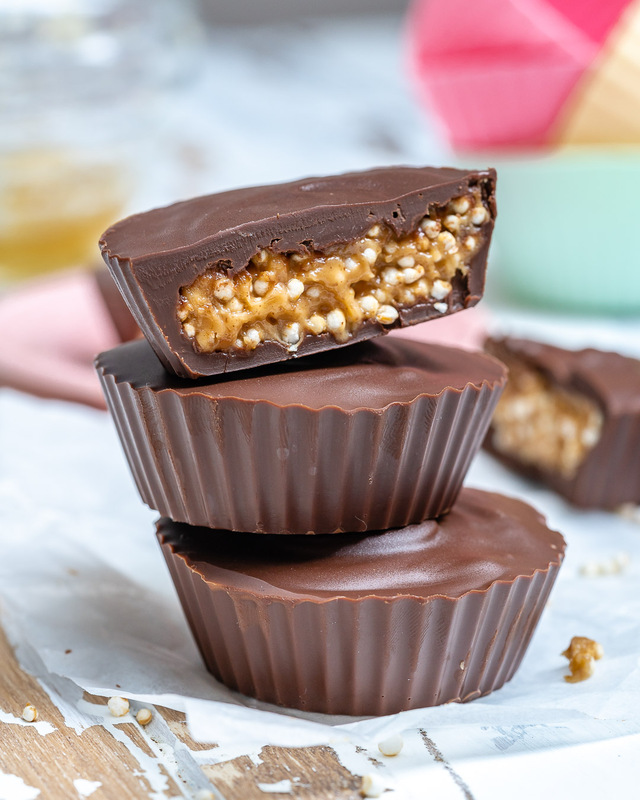 Pop the treats out of their molds, and keep refrigerated in an airtight container for up to 2 weeks. Enjoy and remember to tag me @CleanFoodCrush in your creations! 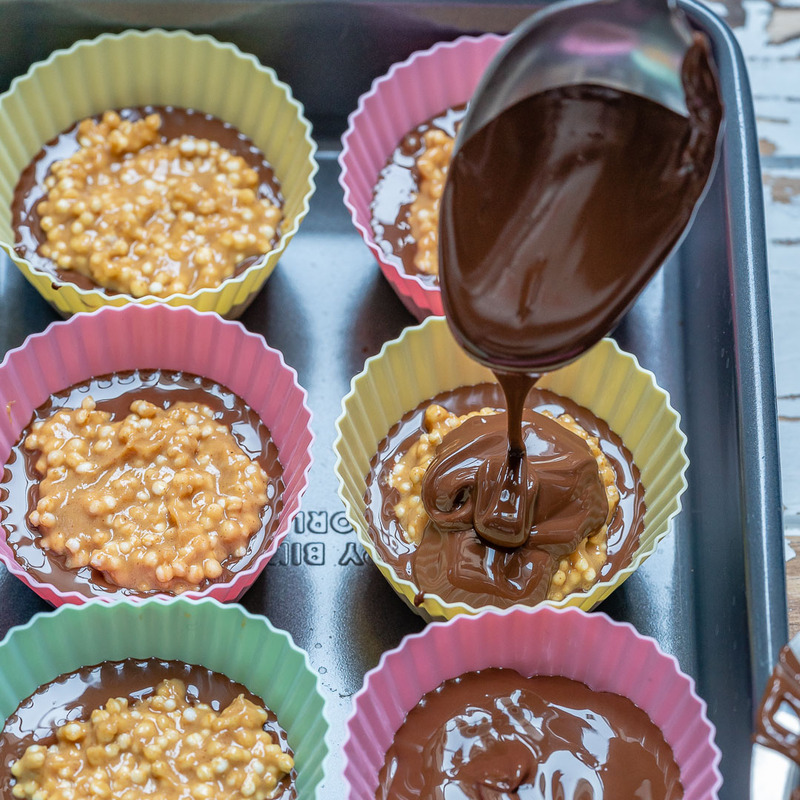 In a mixing bowl add quinoa puffs, peanut butter, raw honey and sea salt. 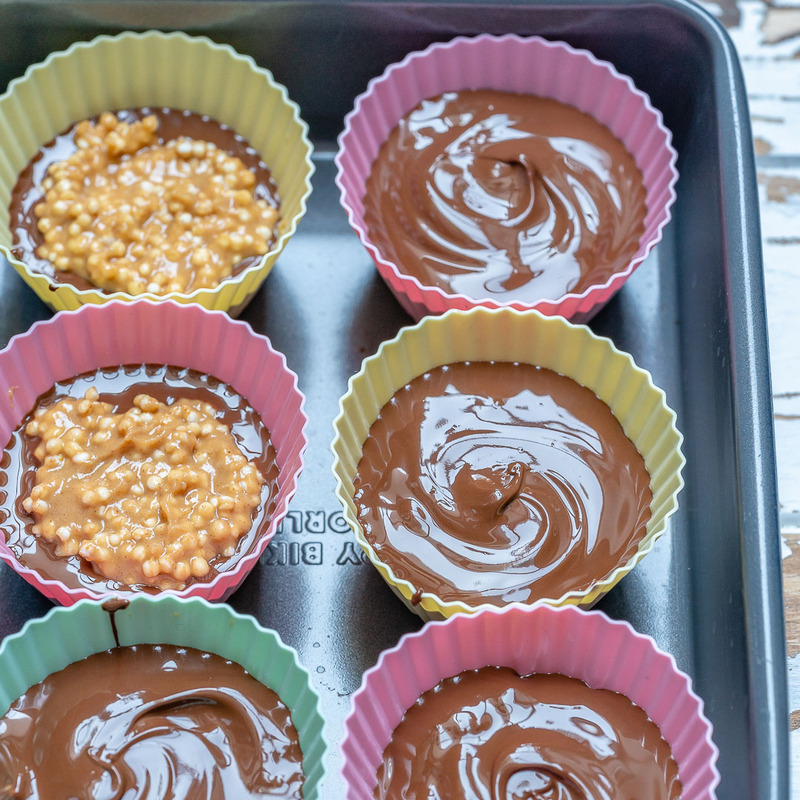 Pop the treats out of their moulds, and keep refrigerated in an air tight container for up to 2 weeks.